As readers of our blog may recall, we have written numerous articles about the U.S. Fish & Wildlife Services handwringing for at least two years over the Northern Long-Eared Bat (NLE Bat) (see Here and Here). I use the pejorative purposefully. The NLE Bat has a natural range that covers 37 states from the Atlantic Coat to the Great Plains and half of Canada. It is afflicted, like other bat species, by White Nose Syndrome, a fungal condition which the F&WS candidly acknowledges it does not understand and cannot combat. So in April 2105 when the F&WS adopted and interim rule under Section 4(d) of the Endangered Species Act, it was not surprising that the agency imposed restrictions on timbering and land use activities in order to protect NLE Bat habitat. In a final rule published in the Federal Register on Thursday, January 14, the F&WS delivered a new, but pleasant, surprise. It has clarified and narrowed the application of the restrictions previously described by its rule. The agency still prohibits the intentional taking of bats except in narrow and specific circumstances (e.g., one can lawfully remove them from the attic of a residence). An incidental take, however, is now relaxed. An incidental take is defined at 50 CFR §17.3 as any taking otherwise prohibited, if such taking is incidental to, and not the purpose of, an otherwise lawful activity. If companies exercise some care in using the land surface and particularly timber as part of their commercial activities, the prohibitions imposed by the final rule are not particularly onerous. The F&WS was candid in its Federal Register discussion about its concerns regarding the NLE Bat. Primarily, they involve the destruction of known hibernacula  the caves and abandoned mines  where bats normally roost, and trees known to provide maternal nests. With respect to caves and similar structures known to be a roost, tree removal within a quarter mile (four kilometers) is prohibited. Removing a known roosting tree is similarly prohibited, as is timber removal within 150 feet of such a tree for the 60 day period between June 1 and July 31. These two months represent the period annually when bats give birth. By observing these restrictions, companies needing to harvest trees for timbering, mining, right-of-way maintenance and oil and gas production, will not be guilty of an incidental take even if a NLE Bat is killed. In addition, dangerous trees within these zones may be cut, and additional activities may be pursued with agency review and permission. Particularly surprising was the F&WS acknowledgment that proper timber management actually improved habitat conditions for the NLE Bat. In addition, the vast range of the bat means that the likelihood of significant forest acreage being disturbed in a given year is highly remote. These limitations reflect a more focused approach than was observed in the April 2015 Interim Rule. One discouraging point, however, should be noted. An environmental group, for itself and 14 other groups, submitted comments which found the Final Rule insufficiently restrictive. 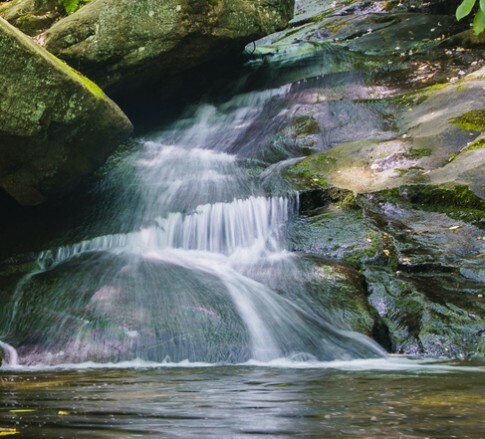 These groups proposed a host of additional restrictions on distances of activities from known hibernacula, including activities such as hydraulic fracturing, not considered by the F&WS during its initial rulemaking. The upshot is that a lawsuit will likely be filed to challenge the rule.